Work for Amazon Simple Email Service (Amazon SES)? "The Best Email Service Ever"
It's Affordable, reliable, can be customized and you only pay for what you use. They have built in Analytics that scales your usage and then give you complete report. You can customize the API, set bounce email and tracking domain from your dashboard. The service simply amazing. Its automatically calculates your reputation based on complains. You can use a dedicated IP even though i have never used it but the option is there on the dashboard. If what you need is to use it as an SMPT you do not need to hire a developer as all the instructions are on the page. In many cases it only connect faster on amazon Virtual Computer which I don't much like. Amazon Simple Email Service is so far the best service I have ever used for my email marketing. What I really like about it is that I could send email conveniently anytime I want and I could even have my own email marketing platform and sell service to others. The beauty of this service is that I could send up to 50,000 emails for free every month before I start paying for email sent. I recommend this service to you either you are just starting off in business or you have been in business. Amazon SES will not only help you save cost but also get your email delivered into inbox. I use it in sending bulk emails to my subscribers and the inbox rate is awesome. "Cost Effective yet powerful emailing solution"
The thing I like best about this service is the fact that I can use it from pretty much any of our applications. Amazon SES is a black box service from aws. With lot of amazing features like spam filtering. Email tracking etc. The pricing is fair, as you pay for what you use, and the interface is the simplest thing ever. Setup and Configurations to avoid spam can take time for first time use. It is not for tech beginnners , reporting section is also weak. compare pricing with other email delivery tools. A must try emailing solution at a very affordable price. I use SES to auto-respond to users that submit messages through a contact form. We are using Amazon SES with our self hosted php application to sent our marketing emails. What Transactional Email solution do you use? "The cheapest way to send massive amounts of emails"
At the beginning, i liked that i was able to send millions of e-mails at a very low rate. I used amazon ses with sendy and it worked very well. Amazon SES is a cheap way—if not the cheapest way—to send emails with just the features you need, and to only pay for the messages you send. SES is a great option for cheaply sending bulk messages, and if you already use Amazon's other services, it's free tier makes it an even more tempting offering. It is not an all in one tool. You need to have extra software for it to work with. Another bad thing is that i did not liked the deliverability. The open rate was lower and even so our revenue was quite good. For 100.000 emails it takes a lot of time to send e-mails because you are limited. I was able to decrease may bill with a lot of money. SES is a great option to send cheap emails. Until now i did not found a cheaper alternative. "Great email service for transactional emails"
Pricing and reputation are the best from this platform. You can be sure all the emails sent through amazon SES are delivered to the recipients in an easy and fast way. They should implement a visual editor or composer for the email automations, that would be great to have! Realiable and fast email marketing/automation with great scalability, transactional automated emails and ecommerce transactional emails. "SES - very limited set of regions service is available"
In regions where SES is available removes the pain of managing own IPs reputation. Feedback loop provided by SES's bounce/complaints handling was leveraged by us to automatically disable recipients who cause bounces/report complaintd - this allows us to keep things in check. Also - DKIM signing makes it a lot easier to implement DMARC in safest way. I know SES endpoints can be used for anywhere in the world. BUT, we decided to use SES only when its available in given region. By following this design principle of ours we cannot use SES (as its not there) in many regions. This means we need to send transactional emails directly, which gives extra headache. One of them is fact taht Trend Micro products a lot of people all around the world use for msail protection by default use "reputation database" which lists AWS datacenters IPs on DUL "blacklist". This results in many people all around the world using those TrendMicro products not getting emails from us they're expecting. "Amazon SES make sending large volumes of mail easy"
It makes sending large volumes of email very easy. We send lots of logs, reports, and notifications out daily. Originally we ran them through Gmail but hit their limits very quickly. After switching to SES we had no further problems. The setup process is a bit tedious as it requires a verification process, but as a developer I understand the need. You don't want any random person signing up for an AWS account and sending mail out as Amazon.com, but the process also required explaining your needs for specific volumes and depending on a person to approve it. I feel that an automated verification process should be put into place to verify the ownership of my domain, but leave it up to me to decide how much email I need and am willing to pay for. Know ahead of time that setting up SES will not be instant and can take over a day to wait for approval. If you set it up in response to an excessive volume of email, you may still have to deal with that volume before you can switch. We initially sent many of our automated emails through a Gmail SMTP relay, but quickly ran into their daily limits, as well as experienced slowdowns waiting for the emails to send when a larger volume was queued. By switching to SES, we no longer had the low limits that Gmail imposed and the large volumes were sent nearly instantly. "A simple, reliable email service that scales"
It is a simple, reliable email service that scales, with simple pricing, and very nice SDKs, including the PHP SDK. It supports both marketing and transactional emails, with generous sending limits. It supports all the security features that are standard in mail delivery systems these days such as DKIM signing. Just be aware that this is super minimal. If you're wanting any kind of easy web interface to manage subscriptions or deal with bouncing emails. then SES is not for you. On the lower plans, DKIM signing really is essential to avoid emails ending up in the spam folder. Make sure you setup everything properly for before use. Also, note that SES is excluded from the free tier on AWS. Reliable sending of marketing and/or transactional emails. This provides the perfect minimal interface to get the job done with no fuss and minimal setup. No learning curve needed really. The primary problem was sending transactional emails with a good delivery rate, and SES achieved this. "Spectacular service for offering mass email services"
We use Amazon SES to send tens of thousands of emails on behalf of our clients with very little difficulty. Its one of the best api-backed mass-email email services I've encountered. It has first-class support for multiple domains, DKIM, and individual address authorization. There is very little not to like. They don't allow embedded data urls in their emails – so if you want any kind of image you need to attach it or have it available via URL. Thats a bummer. I wouldn't hesitate to use SES. I'm sure at some point we'll hit a snag and have to consider some monster-complex system, but so far we haven't found that snag. Also, good to know, Amazon is pretty good about upping your usage limits when you request them to. Our small organization is able to offer comparable, and cost-competitive services to MailChimp/Constant Contact all with a micro team of engineers. It eliminates the need to manage mail servers which is the bane of the class sysadmin's existence. Sometimes it seems like the rate limiting is not accurate and mail can be delayed/throttled for 24 hours or longer. Ensure that you have most of your mailing lists configured properly and that you are not on any blacklists currently before switching. Ensure that the default ratelimits are sufficient based on your volume. We were managing a large fleet of mail servers and had full-time security administrators managing blacklist removals/etc. SES helps free up these resources to do more important things with their time. Amazon SES has great integration with all of the other AWS services. You can continue to use all of the knowledge and infrastructure you've built up around AWS services with SES, including your IAM security rules. SES has a good dashboard, and characteristic for AWS extremely low pricing. Because Amazon SES is so cheap and easy to setup it is sometimes abused by spammers. This means that it can have poor deliverability rates with major email providers. They keep a record of which IPs send spam, and penalise those IPs. They also prioritise clean sources of email over dirty sources, this means that the speed that your emails are delivered at can also suffer. We found that Amazon Simple Email Service didn't have the deliverability or speed that we needed. While the low price was nice, we chose a more expensive service with better rates. We wanted to send transactional emails to our customers when they did particular user events in our web application. High rates deliverability and speed of delivery were very important to us. Like all AWS products, this is pay as you go so it can be very beneficial for small and medium scale businesses. You have to earn a reputation with this service so it may take some time before you can use it to reach a large pool of clients. Also, email servers are quite basic to setup so it may not be cost effective to use this service for larger enterprises. It is very code and tech intensive, so if you are willing to learn then it can be great. But ease of use takes time. As a small business, this helps me send bulk emails without worrying about caps imposed by Gmail or other services. "Highly positive experience with AWS SES, for experienced IT professionals"
- The flexibility of sending emails from various products using the same email address, without the necessity of having the same domain for the product and the email address. - Allow you to perform basic verification and add DKIM signing to the domain. You can verify by domain or email. If you don't or can't sign DKIM, SES still sends out your email but it may end up in somebody's Spam folder or being shielded by institutional firewalls. - The flexibility of doing mail relay from the server or the code level. You can configure Postfix and make sure all emails are relayed via AWS SES. You can also write emailing class in Python, PHP, etc. which utilizes the SES API to send emails without dealing with Postfix. - Highly responsive and efficient. Sending large batches of newsletter queues to SES has never been a problem. And delegated emails are usually received instantly. - Official documentations are pretty good. Follow the tutorial and you can setup your mail relay quickly and verify your email or website domain. - The SES support actually watches your back for you. Because they care about the bounce rate which affect their reputation, they monitor your bounce rate. I work at a large institution and the unit had never cared about the bounce rate until one day we were told our SES service was throttled due to high bounce rates (>40%). So we had to clean up our database's client table which had not been cleaned for maybe 10 years. This kind of instances have happened multiple times, and I was glad secretly because it in effect obliges the administrative to care about their service quality and user experience. - Can hook up with other AWS or non-AWS services to send out automatic notifications. For example, we are sending automatic emails via SES whenever our website is down, newsletter (also sent via SES) is bounced, an Elastic Transcoder job is done, etc. These are setup via AWS SNS. It's also totally possible to automate whatever email sending by utilizing the SES API. You can accomplish virtually anything you want. The major complaint is SES is (almost) totally self-managed and they don't provide tools to add to the values external to the core product functionality. For instance, they don't provide email logs from which you can debug your scripts or server config. They also don't provide newsletter templates or management tools that can make your life really easy. For newsletters, we ended up creating the template and test it out in Mailchimp, before we use it with SES in production. I really hope they can provide some additional features to simplify a lot of things for you. Requires basic experience with servers and domain certificates to get SES running quickly. To use advanced features (e.g. via AWS SNS or utilizing the SES API), more experiences are needed. If you are a startup and don't want to invest lots of time to get the newsletters sent, probably you should first look at Mailchimp or other similar "dummy-proof" solutions. 1) Having a dozen products that all want to send out notifications/newsletters from the same email address. 2) Wanting to pay minimum for sending emails (currently it's $0.10 per 1,000 emails). 3) Worry-free once the relay is setup. Just let it run and AWS makes sure it's working all the time. lack of templates, Like most technical endeavors, sending email is a lot harder than it looks! "Amazon SES is not to simple"
It is a part of Amazon web services suite and offfers an amazing value for money.It integrates seamlessly with other Amazon web services. Amazon SES has higher delivery rate as it ensures that the mail content is safe and is not intercepted by spam filters. Scalability is another reason I love about Amazon SES. One does need not worry about performance if they started small and now become big. The customer support is not at all good. Advanced analytics is missing and only track you can keep is number of delivered and bounced back emails. The API is tricky to integrate with and requires a decent coding experience. We are already using Amazon EC2 and S3 services. So, it was logical for us to use Aamzon SES for our bulk mailing requirements. We found it an economic option with no frills attached and when coupled with Amazon SNS , it is far more powerful tool. "Simply awesome and quite cheap"
The ses service is quite cheap as compared to other email platforms. You can send huge amount of mails to your clients at a good sending rate. The rates are quite cheap and you pay as you go. The Aws ensures that your receivers get quality emails and checks for any virus etc. Currently we see most our requirements being fulfilled by the service and do not see any shortcomings. But the mail sending api's should be more flexible. Since there is a sending limit per 24 hrs , there is a fear of reaching the limit due to sudden usage or anything like that. Be prepared for the limit benchmark on the service , but you can always ask for an increase if it does not satisfy your needs. You also need to setup your system to handle bounces and complaints. For that you can either build your own system or use SNS. We are sending mails to our customers regarding our products and any new features and offers. 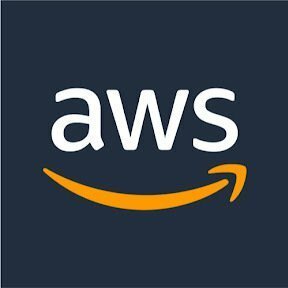 SInce AWS has a good reputation our messages are not considered as spams by the internet service providers. I love how easy it is to integrate their service with our system. We moved from a different vendor to Amazon and it was a breeze. We just had to verify our from domain, change a bit of code and we were up and running. I wish we had a little bit more data on sending statistics. There is some data but not too much detailed data. You should have no problems moving to amazon SES. It has the full support of Amazon's powerful hardward. Transactional and marketing emails sent with high availability and scalability. This software is very easy to set up. It is also very cheap as it offers up to 62,000 emails per month for apps hosted within amazon. It is very efficient and allows you to easily track usage. It is not available in all AWS regions such as Frankfurt. Definitely the best email service in the market at almost no cost. We have been able to send mass emails confidently without worry of emails going to the spam section. I'd like to be able to see raw logs of emails being sent, possibly through CloudWatch. If you're using AWS, there's no reason you shouldn't consider SES over any other transaction email system, particularly if you're concerned about security. We had to switch away to Mandrill as we didn't like the way it was integrated with MailChimp and their new pricing, and most of our infrastructure is running on AWS so SES was the obvious choice. We have no regrets. "Really good service divided across many regions. " I like the easy integration with many programming languages and other AWS services. It is really good to include in the lambda and other code-related products. Many times in the beginning of our usage, we got some messages being lost or not sent, even with a good reputation. It could have been related to the sandbox period, since after that it stop happening quit often. It is a great tool, most than all if are already using other AWS services. Even if you are not, it is simple to start using and the sandbox limits are quite comfortable. It is not the best fit if you are planning to use multiple addresses from the beginning or if your purpose is not on their whitelist. At the time, we were using it for mail confirmation and a weekly digest. We were using it since the beginning, so it hard to notice any benefits, but the speed to integrate it with our python scripts was indeed a plus. Its very simple setting up the service, and the sopport guys are really kind with any doubts that you can have. Maybe that if you want a quickly response you have to pay a lot for a suscripcion support plan. We already are paying per email. Its really important to have time before setting up because the step between sandbox and production service could be a little slow. We are sending invoices with this service and its really useful because you dont have to use too much paper. "A better integration for day to day operations"
The integration was really easy and the price is very affordable for us, as we are a small team, and the support was very useful. The other great point is that Amazon takes care of all the metrics for us, this is crucial for the follow up of the development. The documentation was very complicated, specially the ones for consuming the APIs from specific languages. It is useful to clients who are using this for the very first time, as well as those that come from using a "bulk" of dedicated SMTP servers. Newsletter for our users and forgotten password procedures. We had a lot of problems with blacklisting, which we managed to solved using Amazon SES. "Big learning curve, but incredible powerful once implemented. " AWS SES allows users to send virtually an unlimited number of (non-spam) e-mails in a reliable and secure way, using a very extensive API and AWS ecosystem. AWS SES has a steep learning curve for those not familiar with the AWS API already, and there are few "official" examples and tutorials. That said, there are numerous examples on 3rd-party websites outlining real-world use cases and examples. Don't use SES if you don't have or you are not a competent developer. Other services are easier, but you pay a premium for this ease-of-use, and SES offers you similar or exceeding levels of service for a lower price. I use AWS SES to send both transactional e-mail and high-volume e-mail. It is very simple, and a great price. I also like that it is through Amazon, which is a website that I use alot. I would recommend people who are not sure about where they want to host to use this. It is easy and it is affordable. I would also recommend using it with Cyberduck. I liked using it as well because I never really realized how many web service s that Amazon has since it is usually know as just the web stores. I have had some problems with the servers reading my php. It has worked through all other testing that I've done, so I know the problem is the server. Otherwise I've really enjoyed the service. We made two copies of our code, one is a def environment and one is the live environment. I noticed that alot of times in the dev version, the index.html somehow turned into what looks like unicode or something like that, some symbol language that was not editable. I had to then save my original code somewhere else in a file, then copy and paste it back into there which was a big hassle that I did not understand. I don't have any, it is pretty good so far. We used SES to create and host a website. I have realized that this service is great because it's such a good price and it's easy to used. It really helped our site get up and going. "Cheap and scalable email service"
The ability to go from 0 to service quickly. Long ago, this process would have entailed setting up machines in a data center, installing an operating system, setting up postfix, etc....now I click 2, maybe 3 buttons then enter in a few configuration options. Major time saver. White/Black listing can be troublesome but I don't think that it is unbearable. No real recommendations here outside of just using it; for this use case, it is the best that I have found. Automated email reporting to our clients. "One of the best service by amazon in order to send emails"
Not at all. But we found one issue that it stopped sending emails finally the issue was with amazon EC2 time was not in synchronization with UTC. then we were able to resolved the issue and it worked. "Send Emails with easy API"
It's easy to configure and easy to use. I like to use Amazon SES to send instituitional emails from systems I use. They have a great integration with Amazon Web Services, but it's no need to use all services from Amazon, we can use with any services. "Exceptional service - easy to setup and get the stats." I like the ease of configuration as well as performance of SMTP relay. I have to send about 400 emails and hour and it has been rock solid since day one. I don't like that it is not possible to review SMTP logs. If you're looking for the system which can be used to send emails and can be configured in minutes - look no further. Amazon SES is a simple email relay that can handle large quantities of emails daily for a VERY low cost. I'm using SES to send messages to our clients - both realtime and reports. It helped me to reduce the cost and maintenance for standalone SMTP server. "The cheapest and safest way to send bulk email"
Price - my finance department laugh everytime I submit the monthly bill for $2 or $3 where we were paying $100's before using commercial email marketing platforms. Flexibility and simplicity. If I have the time and want something robust can use the SES API to build and send messages but if time is tight I can just use it as a SMTP server to send the messages out. Using SES in conjunction with SNS (simple notification service) you can easily build in reporting of bounces and complaints to automatically keep your distribution lists clean and up to date. Limited volumes and send rates. When you start with SES you get a very low daily volume (I can't remember what it is) and a rate of 1 email per second. Depending on your use case and architecture this can be an issue. You need to create your account and dribble messages through so that Amazon start to trust what your sending. The limit is very temporary though and very soon it'll be up to 100,000 emails per day. Use SNS in conjunction with SES to automatically handle bounces and complaints. We were sending marketing emails out via commercial email marketing platforms and admin emails via SMTP on a private server. The commercial platforms where difficult because we are in the finance sector and they class us as SPAM without even looking at what we are sending. The Admin emails where difficult because we had no reporting and had to administer the server and monitor it for blacklisting. SES allowed us to bring this all into 1 platform and code base for a tiny price. "Basic. But doing the job." The robustness of the service. The cheap pricing. Lack of functionality of advanced transactional email service, such as template editing. If you just want to send out emails, or receive some to your s3 while providing the content and managing it yourself, this is a basic cheap solution. Most of the times, I need more. Use it only for high volume transactional email sending for a very cheap pricing. Sending high volume transactional emails from our web app. "Best ESP if you're using your own email marketing software"
Price and deliverability. It just works and they are way cheaper than MailChimp. If you're sending a lot of campaigns or you have a huge mailing list, you can save a lot of money for exactly the same. Also it's great because you only pay exactly what you're using, no monthly plans. Their UI is useful for tracking, but not for creating the campaigns or managing lists, it's designed for transactional email. This is easily fixed by using a self-hosted solution like Sendy.co, but it's not as easy to use as MailChimp for example. If you're just starting, and only have just a few subscribers, it doesn't worth the hassle to set it up, just go with MailChimp or any other ready and easy to use solution. But if you already have thousands of subscribers, or if you're sending a lot of transactional emails, Amazon SES is the way to go. One of our customers needed to send a weekly newsletter for their email marketing campaigns. They were using MailChimp, but as their subscriber list grown, their bill also skyrocketed. Switching to SES combined with the self-hosted software Sendy.co was a no-brainer. "A Great Solution for Sending Email from Applications and Services"
The thing I like best about this service is the fact that I can use it from pretty much any of our applications. Setting up the API access is really easy and the tie-ins to Simple Notification Service is nice. Handling bounces, spam reports and abuse requests is a bit of a pain and requires a lot of manual coding from your end. The issue isn't that you have to do this, as you should do this to ensure you're handling these within your app and not continuing to send to these addresses. This issue is the amount of work you need to do to set this up with SNS and your app. Additionally, there is no console to see who you've sent messages to and really audit this. Instead you have to tie into additional services again. The Dashboard and reporting console that it offers really should include this. Definitely understand the process required for handling bounces and etc. There is great documentation on this and lots of examples for various code-bases so it should be simple to accomplish. However, if you don't - expect your service to be suspended if you receive a large number of these at regular intervals AND expect to have to provide documentation to AWS support regarding your mitigation strategy and what you're going to do to reduce these. They take complaints from your email recipients VERY seriously (rightfully so) and will flag you as a spammer without a second thought. We have a number of applications that need to send notifications, alerts and marketing messages to a very large number of users. We could try and solve this ourselves using on-premise solutions, but SNS really makes this easy while abstracting pretty much all the management away from us. Thanks to SNS we no longer have to setup, manage and monitor our own SMTP servers for sending programmatic email. We no longer have to write custom code to track bounces/spam for these server and track which apps or service needs to know about them. We still have to write code to handle this functionality within the apps, but its a much simplified process and doesnt require the overhead on the SMTP end..
"A gift to the emailing companies "
As I said, its a boon most of the emailing companies or companies relying on emails. No hassle of setting up of your own SMTP servers/services, which itself adds lot of operation costs along with running costs. Amazon SES is a black box service from aws. With lot of amazing features like spam filtering. Email tracking etc. It's is suggested to use the SES for transnational emails if you are one of the e-commerce companies, rather then using it for your marketing campaigning emails. It would lot more helpful if it allows to send marketing emails to the customers base. We are using for all your transnational emails for the e-commerce domain. "Simple, scalable and cost-effective email sending service"
SES does one thing, and does it very well: send emails. The pricing is fair, as you pay for what you use, and the interface is the simplest thing ever. Even though most email services will at least offer analytics, if not file and template hosting, design tools and more; SES doesn't offer any of these tools. SES is focused on sending email, period. If you are looking for templating, and analytics and stuff like that you should look for other services. SES is the most scalable, easiest solutions available with a fair pricing model. Simple campaign/marketing newsletters. Since I had a previously built email template, SES was the perfect tool for the job. "Simple and Cost effective email delivery solution"
Setup and Configurations to avoid spam can take time for first time use. Easy to implement and available for anyone to use. It costs fraction of a cent to send an email. Email Delivery service. Simple API interface, SDK package available for variety of platforms and pricing. It is one of the beat mass email service out there. It has really simple user interface and other amazing thing about this tool is that it is really cheap as usual amazon products are. It is really lengthy process to get help for this product and have to wait bit long to contact the customer care. If that can be improved then this tool is the best. I would recomment all the comapnies which are doing mass email or email marketing. We are email marketing provider and this tool is really cheap which help our customer to get work done in low budget. 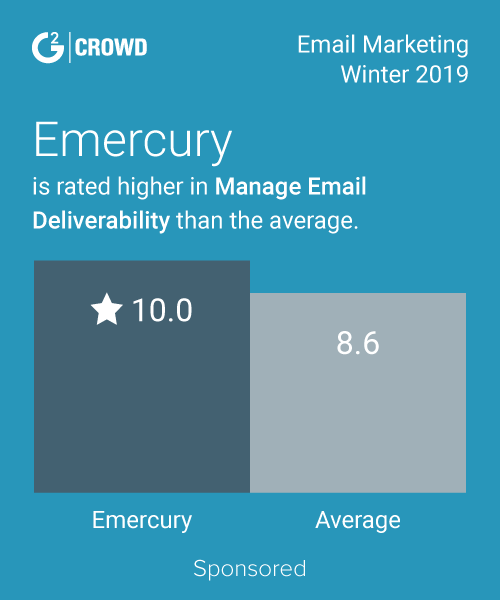 "Simple and cheap but powerful email tool"
"The most reliable service we've used for Emails, although not the smoothest." Very fast and reliable. Easy to add in our own domains, even with DKIM support. No transactional support, no support for read receipts. No support for templates (we use this with SendWithUs). Don't forget to get approved for Production mode before you turn it live, or you will be quickly limited in how much you can send out to clients. Also don't forget to check the DKIM settings to prevent your emails from being marked as spam. Sending emails to our clients. We use SendWithUs in conjunction with SES to send emails from our application on our behalf. "Easily configurable elastic Email Service"
The most amazing thing about switching to Amazon SES is the elasticity and the robustness of the product. And just like most other AWS products configuration was super easy. Prior to SES we were using an in house Exchange Server and the maintenance (bouncebacks, outages, access) on that was a nightmare. Initially, I could not believe how simple it was to use SES vs the Exchange Server. Providing group level access was nightmare in Exchange Server, which is handles very elegantly in SES . 2) Did not find any documentation for using attachments. It is a perfect choice for a cloud based email service. We need an email service for sending communication to our customers about changes to their accounts, any new products available in their subscriptions, outages, maintenance windows and lot more. To our business users we have to send feeds and report failures in workflows etc. Our business relies a lot on emails an on an average, our system generates in the range of 2000-15000 messages per hour and we needed an elastic and robust solution and SES served our needs perfectly. The way I can simply create a user group for logging purposes or server monitoring purposes. We can blast out emails to see if our EC2 instances have gone down or a Docker goes down or an app is blowing up. Steep learning curve at first and Amazon documentation is seriously the worst in the industry, like severely the worst, seriously. Use it, it's easier than configuring your own sendmail. We have a bunch of Node JS servers snd use it for Winston logging. We also use it for our fleet and docker monitoring. "Excellend email service just for pennies!" SES pricing is amazing and emails can be deployed at a fraction of the cost compared to other such services. The email deliveries are very reliable. I don't think there is any sort of CMS that would provide more insight on the emails analytics. Hoping they would roll out more features in the future. Give it a shot. They are flexible with the service and I hope more features are added soon. Have been using SES service for occasional promotional emails. The pricing is excellent and way lesser than any other leading email service. They also provide excellent API service for integration with third party applications. "Email sending AWS utility works well for large scale communication"
"Integrated with Retainly Marketing Automation too"
Not only is SES one of the most dependable email services, it is now integrated with Retainly Marketing automation too. I have activated SES with my Retainly account and can now send 60K emails per month for free. My marketing costs have reduced to half. I like the simplicity of it. The SMTP endpoint is easy to use and there's not a lot of overhead like some other services. I really can't think of anything. Some of the Web UI visualizations could be better, but definitely not a deal breaker. If you need good tracking like with something like SendGrid, you may not love it. That said, it's simplicity is was makes the product for me so having a bunch of extra features just gets in the way. Sending transactional emails. The SMTP endpoint makes it easy to integrate and it's cheap. "Simple as is the name"
You can use where you whant and track all you mail in a simple web view. The hard thing is the configuration and the permission setup. "As Simple as it can get"
Amazon Simple Email Service is one of the most simple email marketing and feedback solution. Changing recurring mails data or editing recipients groups is just a few clicks work. I wish i could add more colors and variety to my reminder mails without making the mail heavy. As stated in the dislikes, there is always a scope of improvement. It helps you build a trusted communication network with your customers. Automated as recurring marketing mails not only can be set on automation mode but we can even attain insight on customer patterns. "Transactional emails for small businesses"
That the platform is easy to use, intuitive and user friendly. It's also pay-as-you-go which helps out a lot! Deliverability can be on the low side. It is a cheap alternative for people just starting out with businesses that require transactional emails. Dead simple SDK for setting up transactional emailing. Generous free tier that never expires. Setting up newsletter sending is a lot harder (since it's not the main use case) but doable. Fortunately, there's 3rd party software to make it easier. Access to email servers with great reputation at great prices. "SES user and like it so far"
High available, I don't have to maintain or set up mail servers. Fixed from. For project, sometimes we have logic needing to response to different user groups depending on the business logic of the application. But works for big projects. The throttling exception needs to handle well. It won't response to different users. It is easy to use and don't have to set up machine or server. Send emails to users for projects. I don't have to set up any server or maintain facilities. The cost is reasonable so far. Learning about Amazon Simple Email Service (Amazon SES)? * We monitor all Amazon Simple Email Service (Amazon SES) reviews to prevent fraudulent reviews and keep review quality high. We do not post reviews by company employees or direct competitors. Validated reviews require the user to submit a screenshot of the product containing their user ID, in order to verify a user is an actual user of the product. Hi there! Are you looking to implement a solution like Amazon?